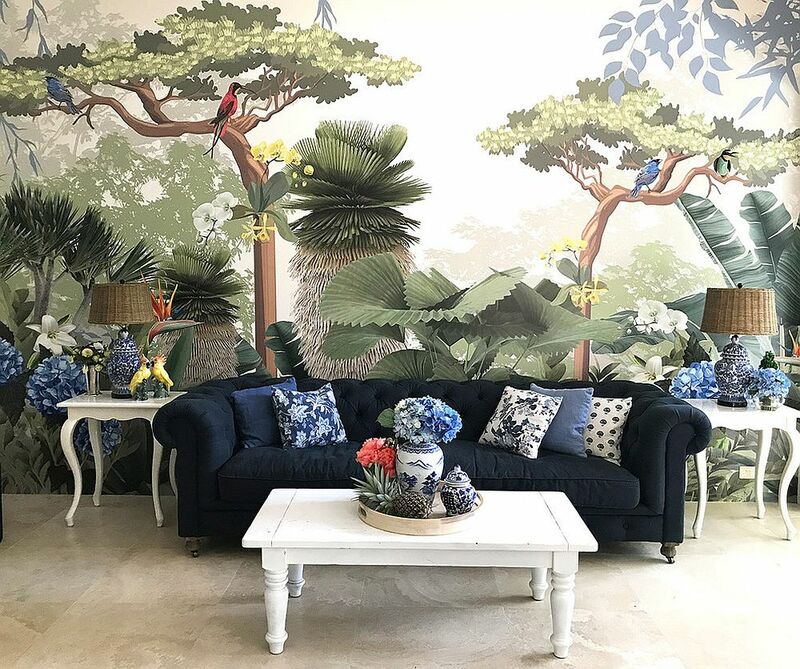 With nature-themed patterns making a big splash in recent times, tropical themed wallpapers full of leafy motifs feel both vivacious and trendy. 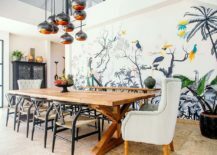 Some are a bit more colorful than others and you can easily add them to an existing space to changes both its vibe and overall theme. 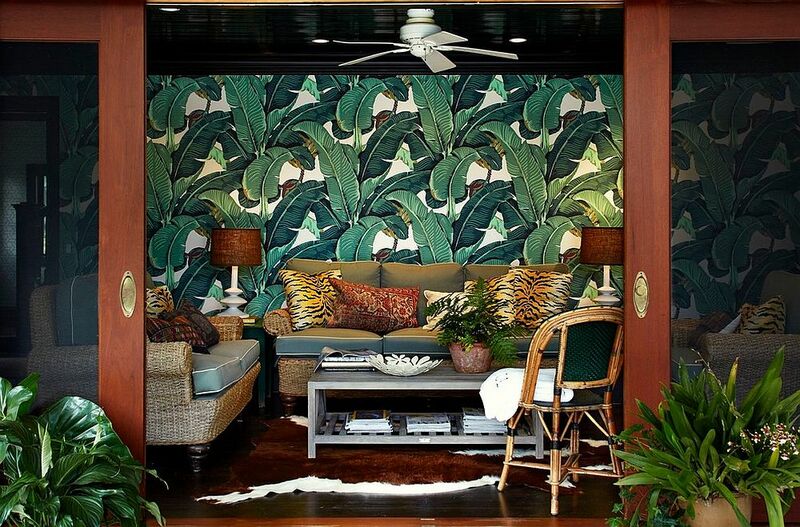 Big green leaves in the backdrop are a perfect way to add tropical touch to the interior without changing too many other aspects of the space. 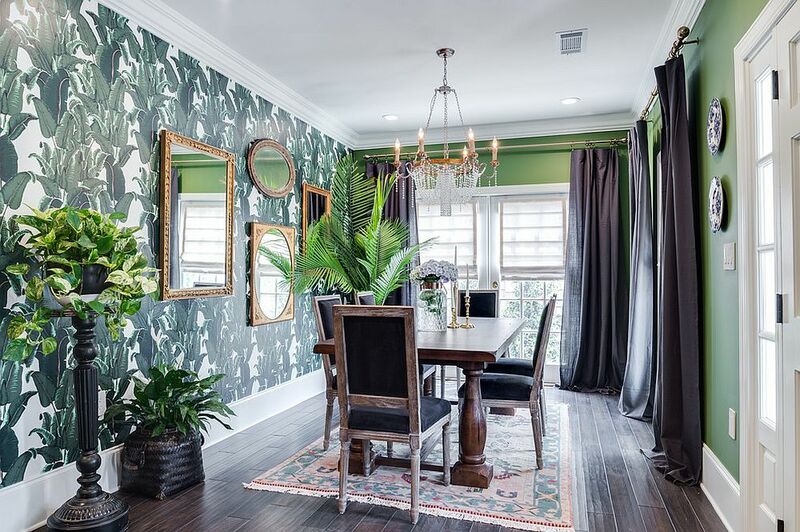 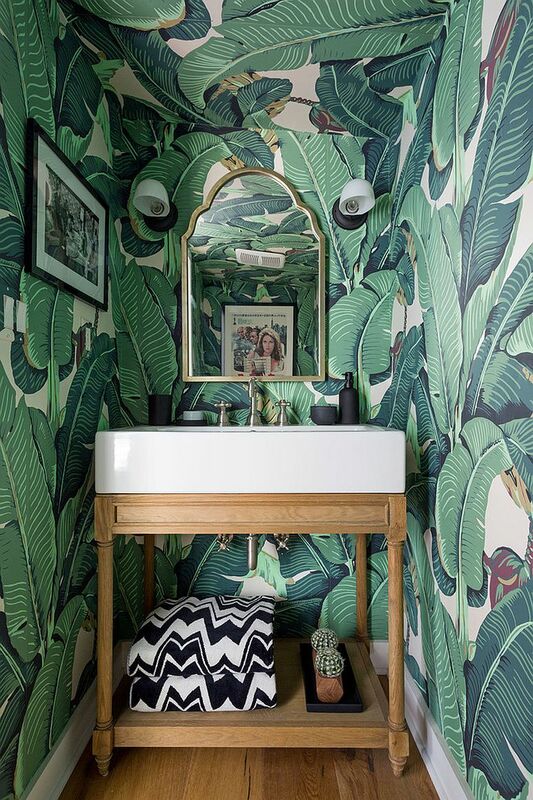 Be it giant banana leaves or smaller leaves with a more repetitive fashion, wallpaper with this leafy charm creates an instant focal point that you simply cannot miss. 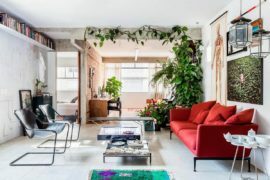 Adding indoor plants ushers in another layer of green to the room and with green accents and accessories you can design a curated and classy interior that feels fresh and modern. 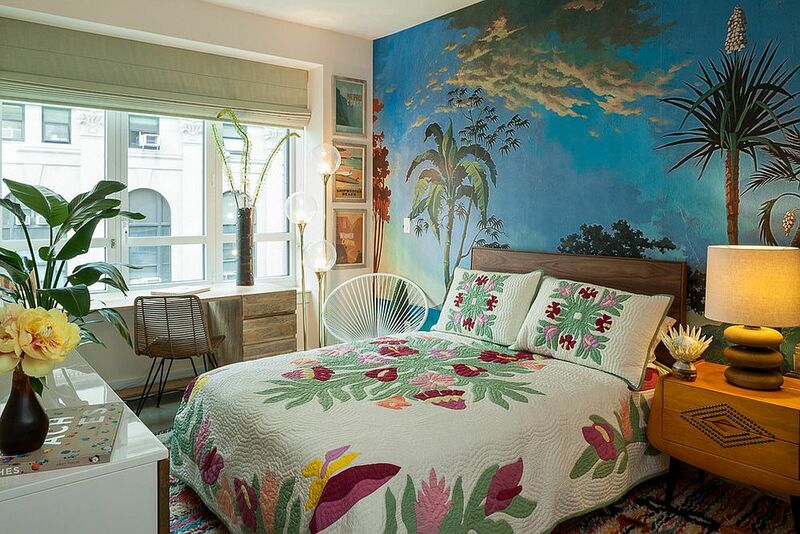 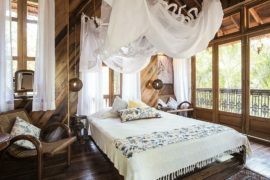 RELATED: 30 Best Tropical Bedroom Ideas: Colorful, Cozy and Trendy! 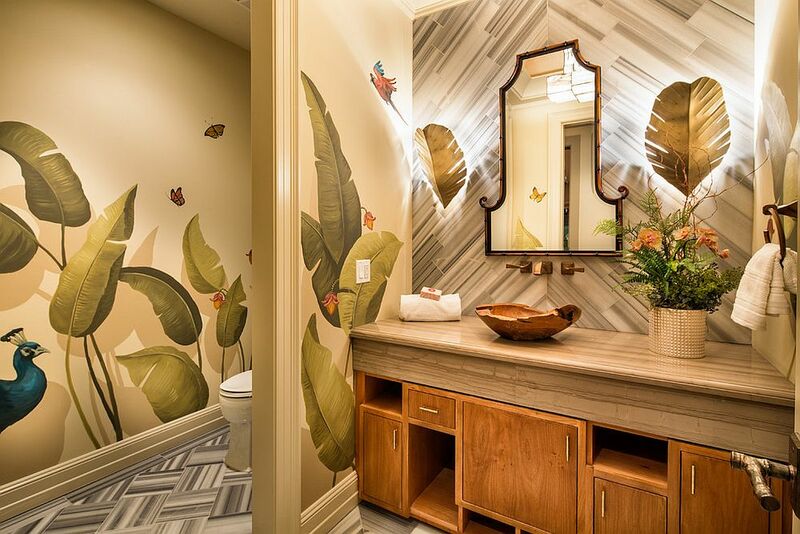 Powder rooms are a place where you can try out any new trend without any trepidation. 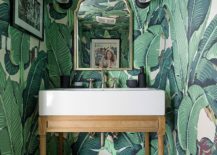 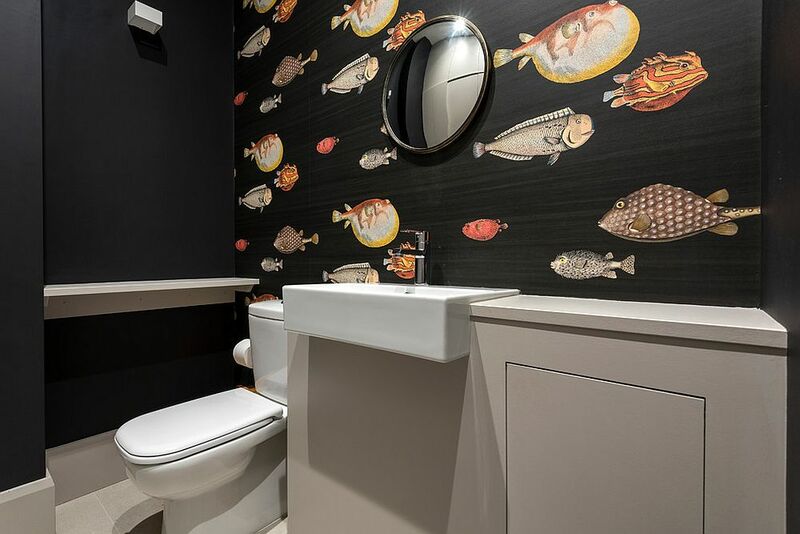 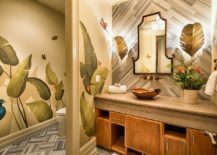 Try out the tropical-themed wallpaper in the powder room before you embrace the trend and take it into the bedroom or the living room. 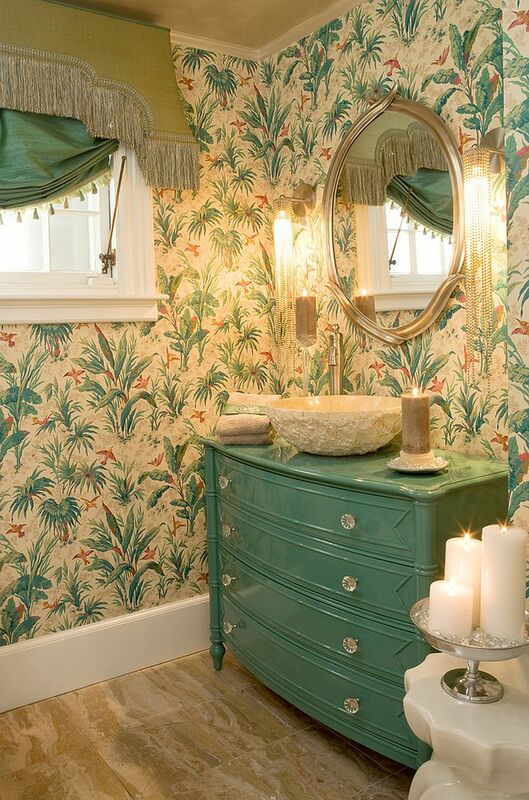 In the small powder room, walls draped in leafy wallpaper might feel overwhelming when not done right. 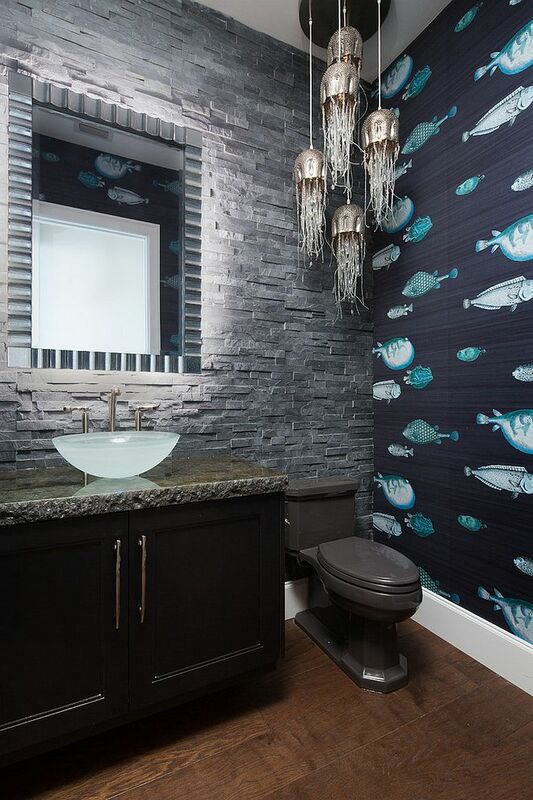 Lighting is a key element in these tiny spaces and with the right pendant and recessed light, you can highlight the bold wallpaper and other smart metallic accents. 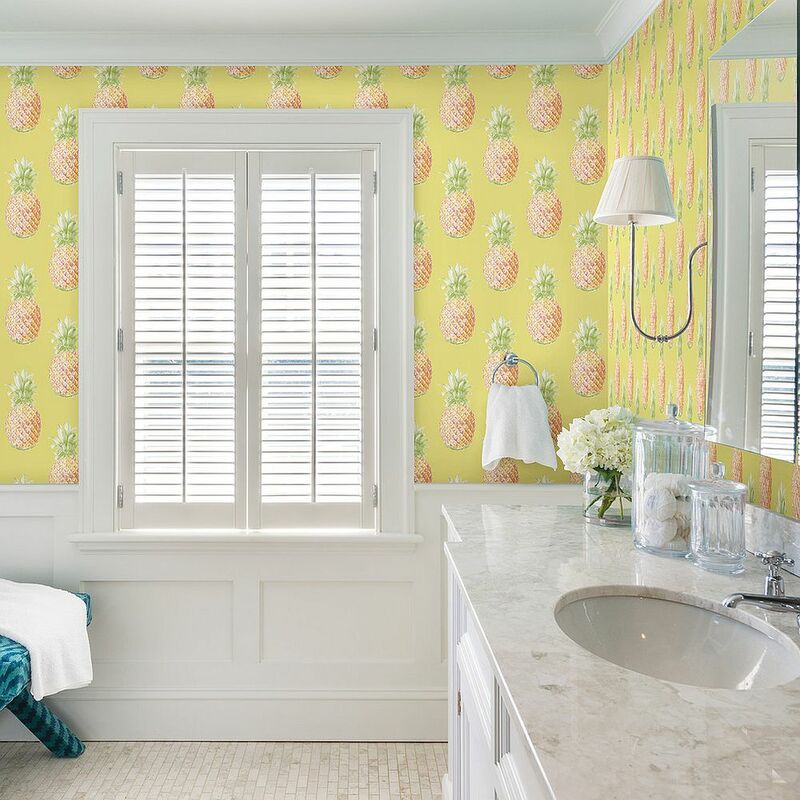 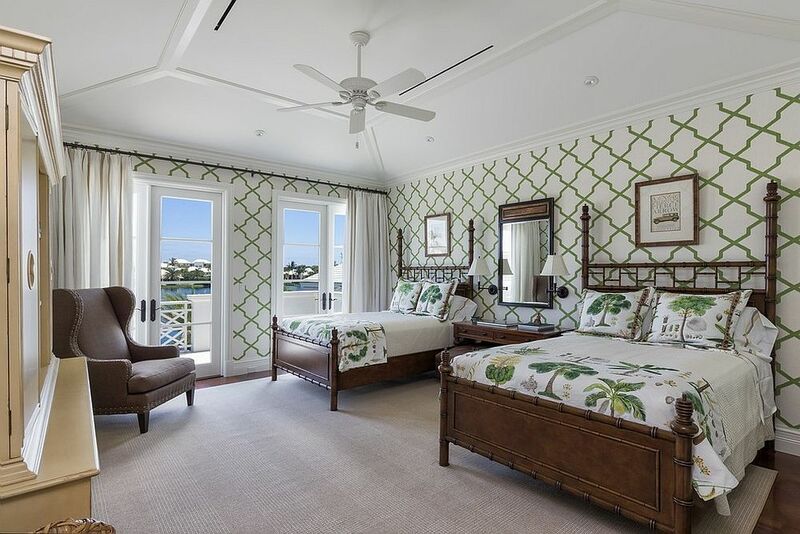 There are wallpapers other than those with leafy motifs to add tropical style to the room and do so with even more cheerful zest and colored brilliance. 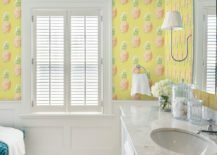 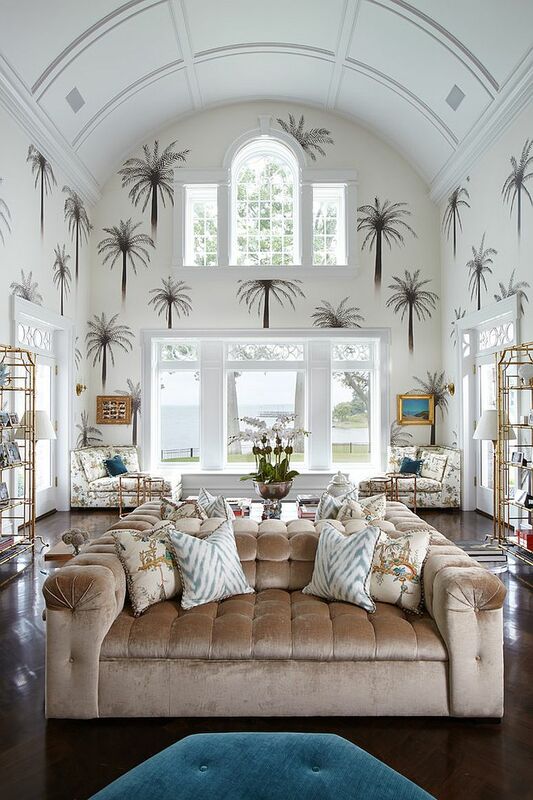 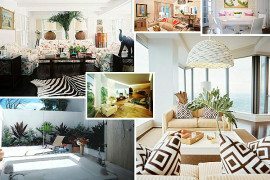 Some might love the allure of palm trees in the backdrop that bring images of exotic Middle East and beyond while those preferring fun and playful patterns can consider options like the wallpaper in yellow with pineapple prints. 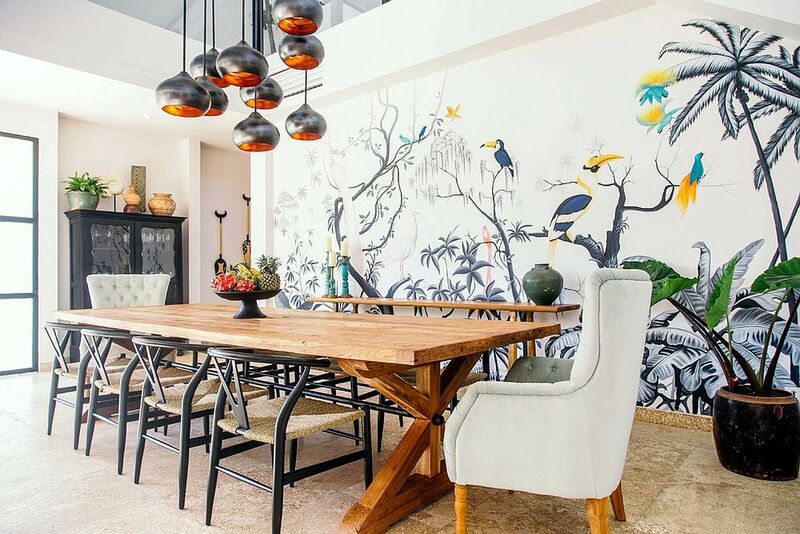 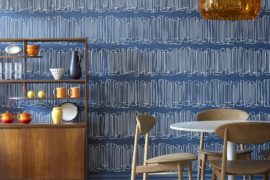 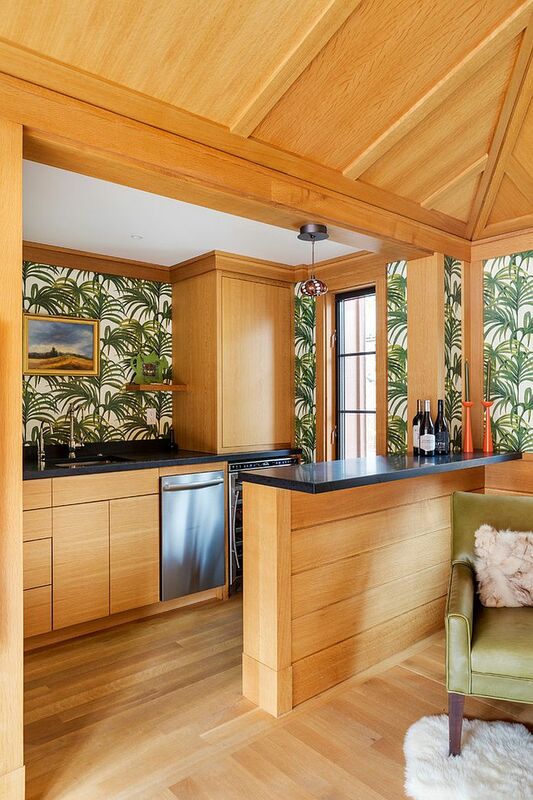 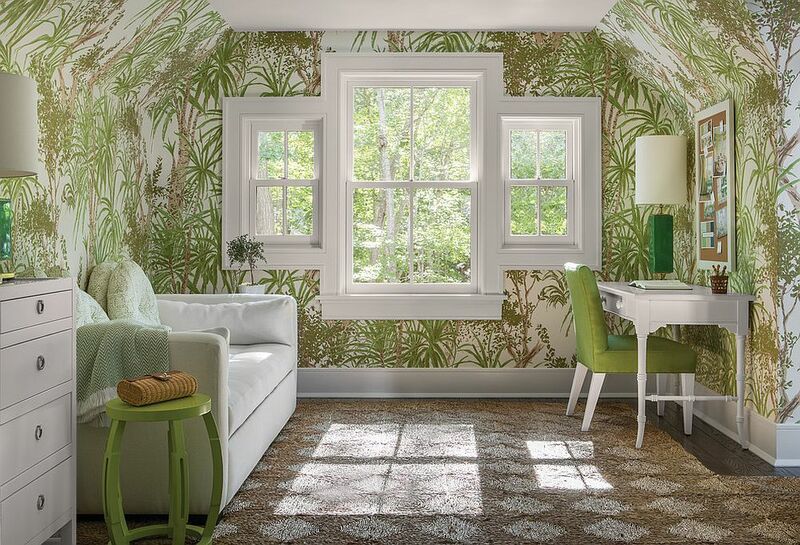 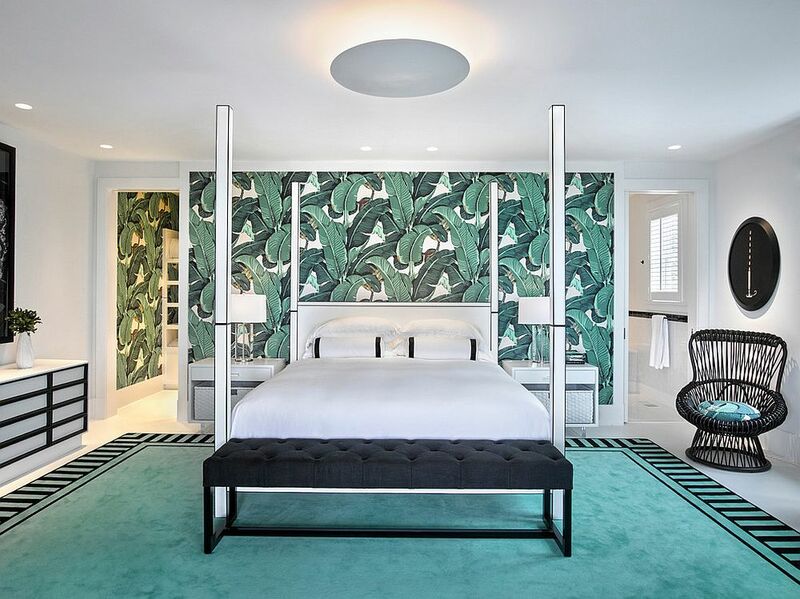 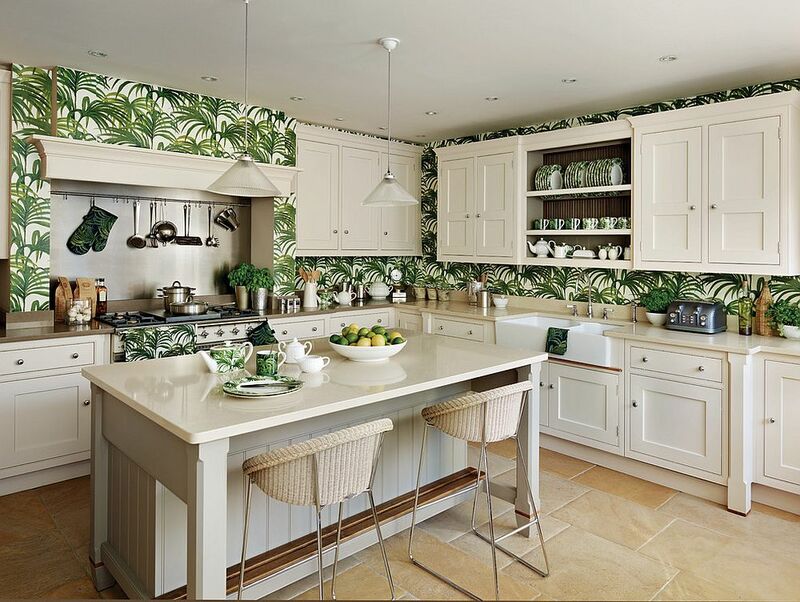 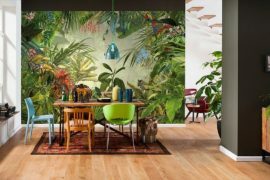 Jungle-themed custom wallpapers with great detail and those that rely on sun, sand and surf to add tropical touch to a space provide a refreshing and welcome change from the monotonous trend. 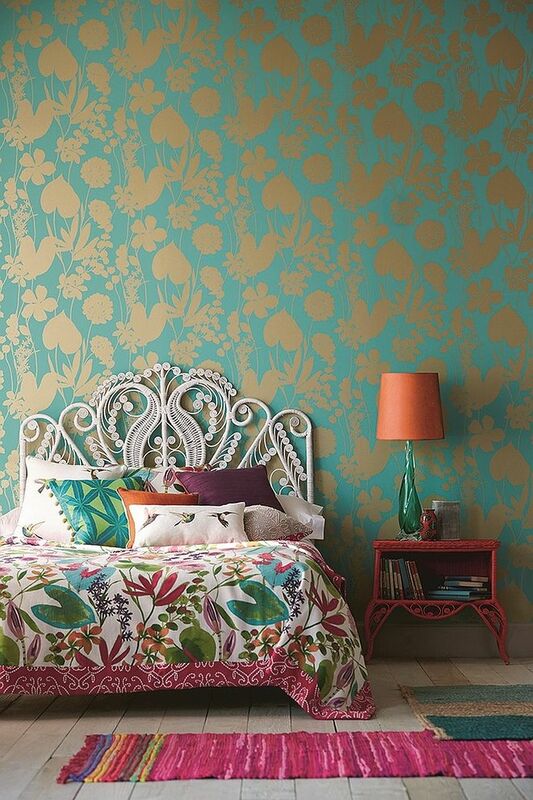 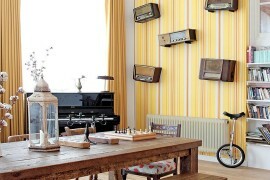 Not fond of wallpaper? 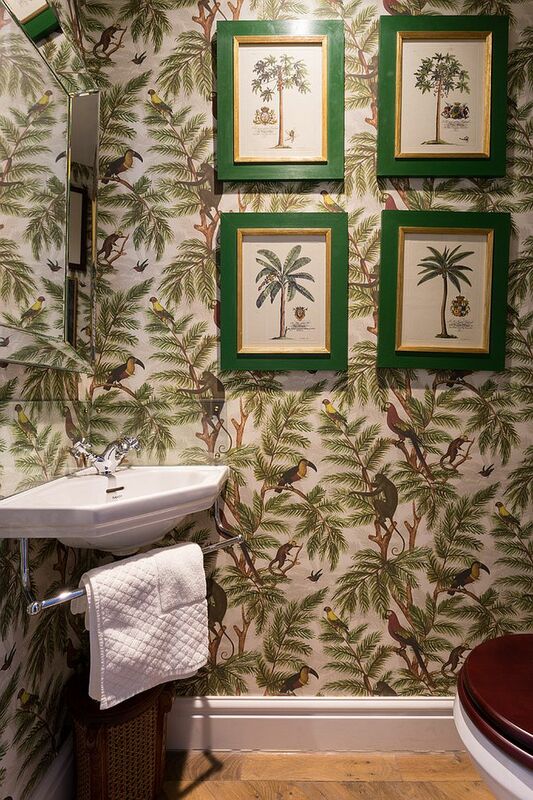 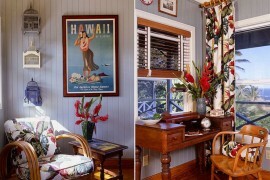 Maybe you are looking for other ways to bring in tropical pattern even while creating the same visual impact. 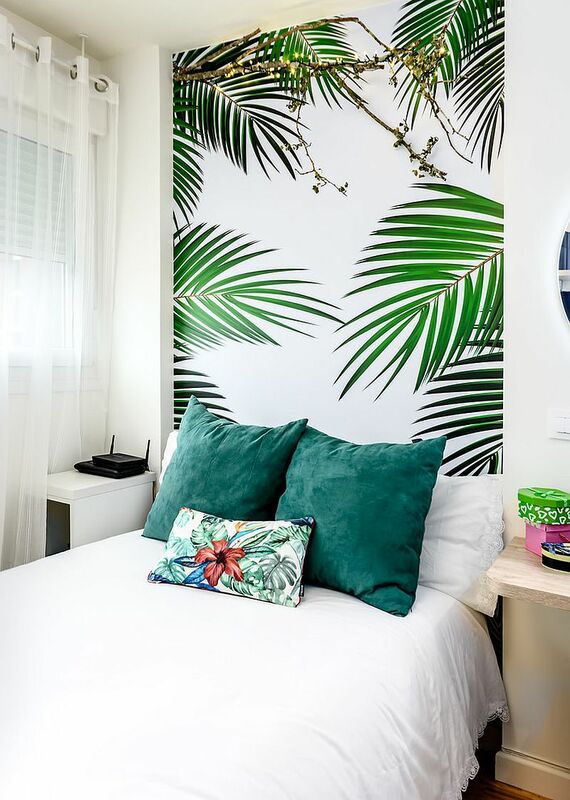 Not to worry, as those looking to start off small can try out bedding and accent pillows with flower and leafy patterns combine pillows with different patterns and hues to fashion a more vibrant interior! 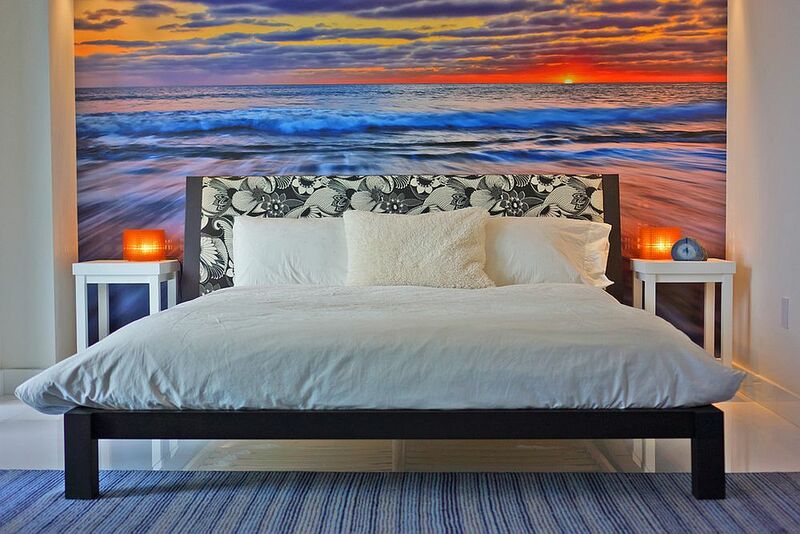 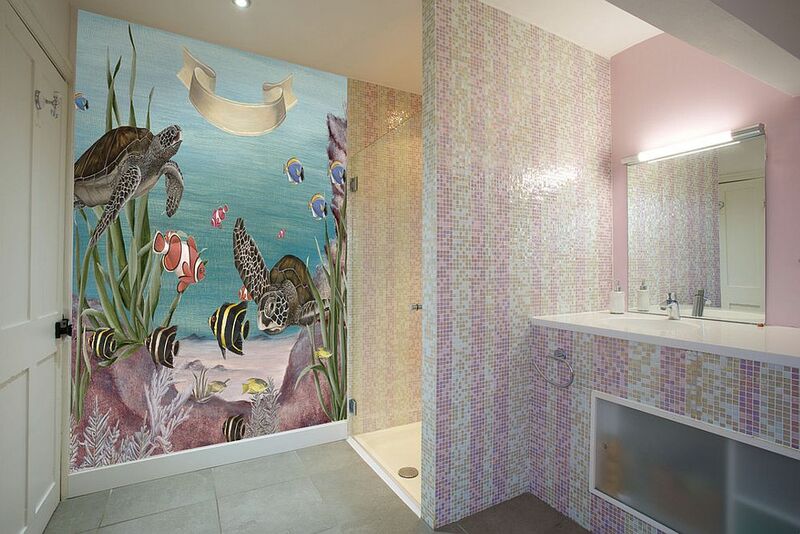 Wall murals create the same visual effect as wallpaper but allow you to paint a more detailed and varied picture. 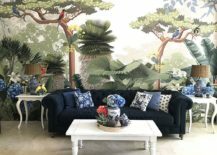 Instead of repeating a pattern, wall murals tell a story with twists and turns and do so with ease.